The spring rainy days have finally arrived in the Twin Tiers, so it’s a good time to talk about riding in the rain. We all get caught in wet weather, but not every rider knows how to stay safe. Cover up and be visible: You want to stay as dry as possible, which won’t be easy riding in the rain. Even the most expensive rain suits will be put to the test in heavy rain. Invest in some protection if you like to go on long motorcycle rides because no one likes to get wet. Use a full-face helmet because it will keep the rain from hitting your face. Visibility is also important. If you can find a reflective rain suit, all the better. Bright colors work well, too. You want to be seen at all costs because of decreased visibility in the rain is one of the main reasons for accidents. 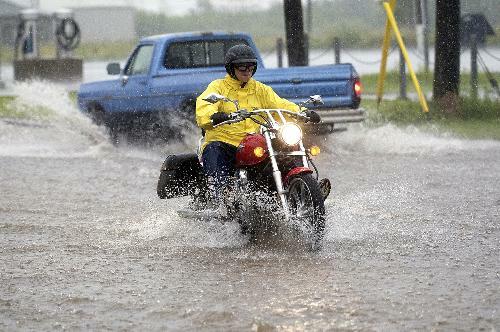 Stay calm: Whether the roads are wet or dry, you need to remain calm on your motorcycle, and not be tense or stiff. Sit down in your regular riding position, rest your hands on the bars like you normally would, and make sure your elbows, shoulders and neck are free to move around. It’s important to keep loose in dry conditions, but even more important in wet conditions. Make sure to keep your eyes peeled for painted lines, manhole covers, train tracks, puddles and any other obstacles that may cause you to break traction. Take it easy on and off the throttle and brakes, but balance your grip. 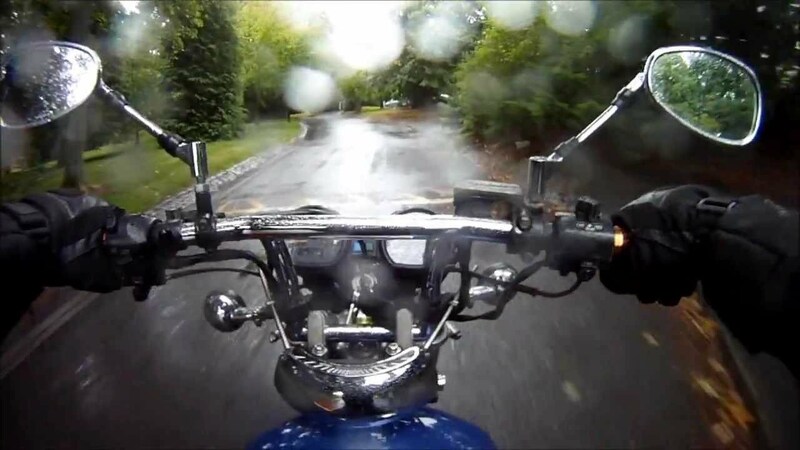 When you’re riding in the rain, aim to complete your turns before you accelerate. The more you ride in wet conditions, the more your confidence will grow. Be smart about braking: Brakes aren’t as responsive on wet roads, so it’s important to stop at a safe distance when it’s raining. Also, take your speed into consideration – you want to be able to slow down at a dependable time when the roads are slick. Ride at a speed that your brakes can handle and always overestimate the time it will take you to stop. An important tip is never apply only the front brakes because it will cause your front wheel to slip. If your rear wheel slips, you can control it, but once your front wheel starts skidding, you’re in trouble. If you can apply a braking ratio of 60 percent rear brake and 40 percent front brake, you will be fine. Make sure to squeeze and not grab your brakes, as sudden shocks of force can break traction. The best way to stay safe while riding in the rain is to just do it. Practice will make you more confident and safer. So the next time it starts to rain lightly, go for a quick spin and build your skills and confidence! 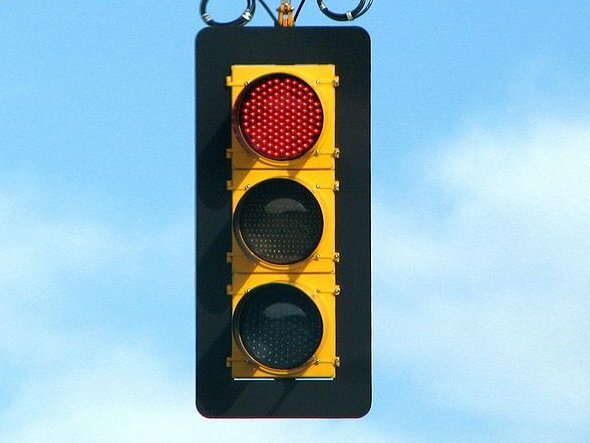 “Ride on Red” may soon be the law in Pennsylvania, which would let motorcyclists proceed with caution through an intersection when they can’t get the attention of a traffic signal stuck on red. New York State lawmakers should approve similar legislation! bicyclists the ability to ride through when trapped by a stale red. Many traffic signals use a vehicle detection system to trigger changes, but motorcycles are usually not big enough to be seen. 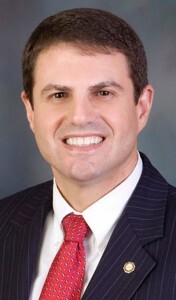 Bloom’s bill would allow the driver of a motorcycle or bicycle to proceed through an intersection only after exercising due care as provided by law. The Alliance of Bikers Aimed Toward Education (ABATE) of Pennsylvania supports the legislation. A.B.A.T.E. State Lobbyist Charles Umbenhauer told the news media that riders have had to deal with this for decades. 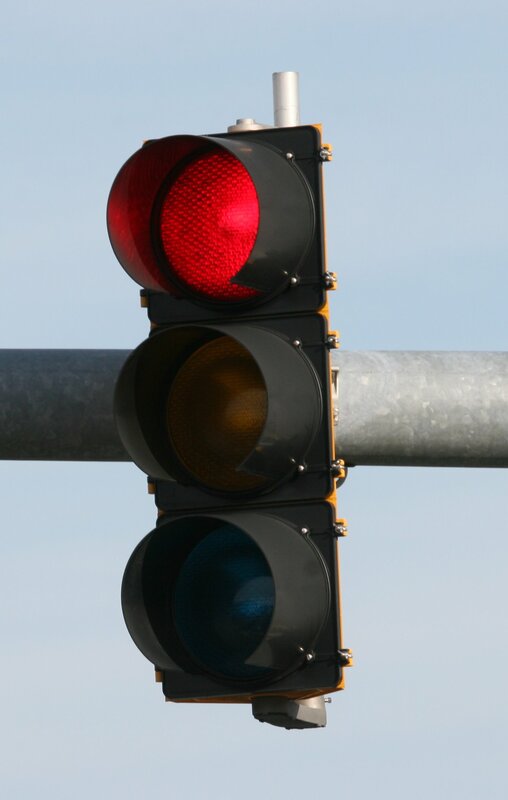 If caught going through an inactive traffic signal by police, motorcycle riders can usually get out of the ticket if they fight it in court, citing a malfunctioning traffic light. Many municipalities can adjust the sensitivity of their traffic signals to detect motorcycles. But Umbenhauer said it’s difficult to get them to do it. The “Ride on Red” bill would fix the problem by giving riders the opportunity to legally drive through inactive lights, he said. 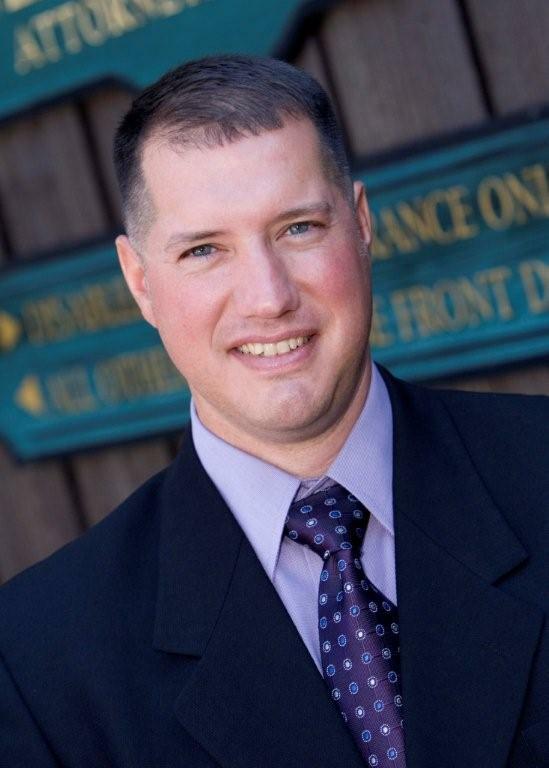 Umbenhauer said similar efforts to pass this sort of legislation did not succeed in the past and he is unsure whether a new governor and General Assembly will make a difference this time. 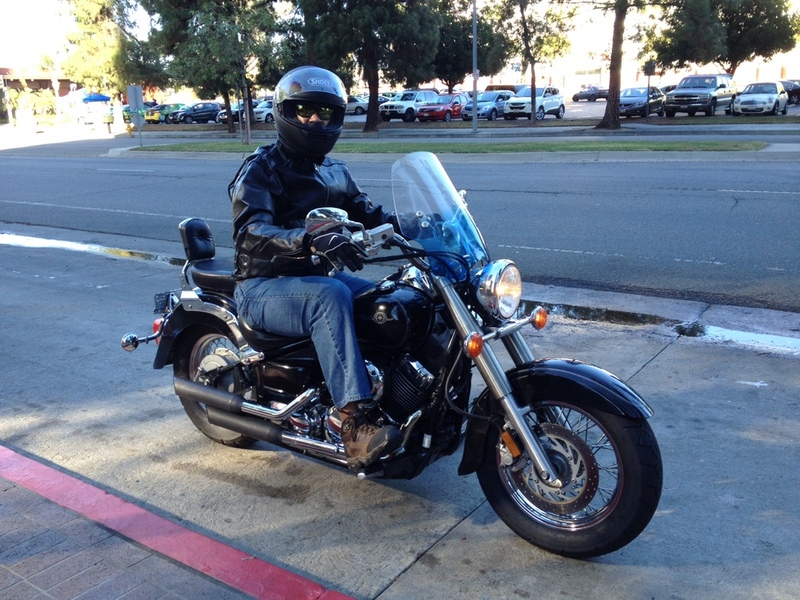 RideApart has a great blog post that should be a MUST-READ before all motorcyclists head out to the open road next time. “10 Common Motorcycle Accidents and How To Avoid Them” is a great reminder of what we can do when we face different dangerous situations on the road. It’s not just for beginners. It’s a good refresher for experienced motorcyclists, too. 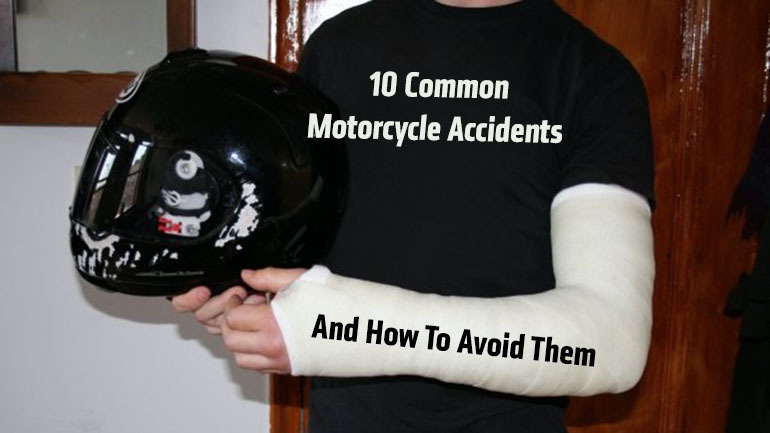 Each of the 10 Common Accidents has a description and a short video to illustrate. 10. A car turns left in front of you. 9. You hit gravel in a blind corner. 8. You entered a corner too fast. 7. A car changes lane into you. 6. A car hits you from behind. 5. Your riding buddies are idiots. 4. You locked the front brake. 3. A car opened its door. Most motorcycle riders prepare themselves to ride — they slip on their helmets, armored clothes and gloves and check the weather to be sure they will be safe. But what happens if you’re riding in a group and someone else has an accident? Are you prepared to help, and even more important, trained to help? Motorcyclistonline.com has a great post on how you be prepared in the face of disaster. Contact your local Red Cross chapter for CPR and first aid training. Remember to warn oncoming traffic so the disaster does not turn into multiple injuries and fatalities. Does the downed rider need immediate help? That is the first step in assessing the extent of the injuries. Never move a downed rider. Always carry a first-aid kit with everything you may need, including gauze bandages, latex gloves and much more. Put direct pressure on the wound if someone is bleeding. Read the complete post for many more details and be prepared. I hope you will never need to be ready to help a downed rider, but better to be ready! 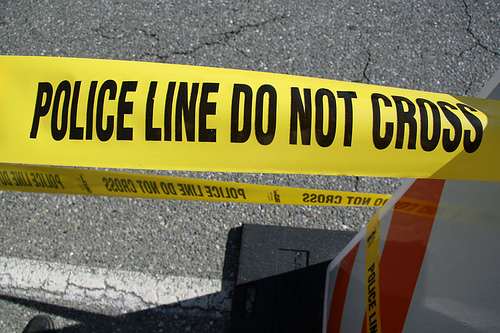 A Horseheads woman was reported to be in critical condition this week in Robert Packer Hospital in Sayre after her motorcycle was struck by a car Tuesday. According to news reports, Michelle E. Jones, 51, was riding south on South Main Street when she was hit broadside by a car moving west on Mill Street, according to Horseheads village police. Police said Jones suffered a severe leg injury and was transported to Robert Packer Hospital. The driver of the car, Robin R. Gergel, 51, of Horseheads, charged with failure to yield right of way at a stop sign. Gergel was not injured. The motorcyle world is buzzing about Harley-Davidson’s plans for an electric bike, Project LiveWire, which has been three years in the making. According to reports here and here, the 74-horsepower engine has some pep and it weighs just 50 pounds. But it only has a range of 53 miles on a charge, so it is only ideal for short city commutes. It takes 3.5 hours to recharge it when the battery is drained. But in a world where “loud pipes save lives,” the quieter electric Harley has some motorcyclists shaking their heads. Harley-Davidson is hitting the road with its electric bike to talk with bike lovers. What do you think of an electric Harley? Would you ride one? It sounds like a great concept, but personally, I don’t know if I could ride a bike that was essentially silent. We sneak up on cars as it is – this bike would give no warning to cars of its p0resence whatsoever. Motorcycles are back on the road as the weather heats up, and sadly, fatal accidents involving motorcyclists are back in the news, too. In recent days, there have been fatal accidents in Boston, Maine, Michigan, and Illinois, among many other places. It’s early in the season, so it’s a great time to take a Motorcycle Safety Foundation course, where you are a new or veteran rider. 10. 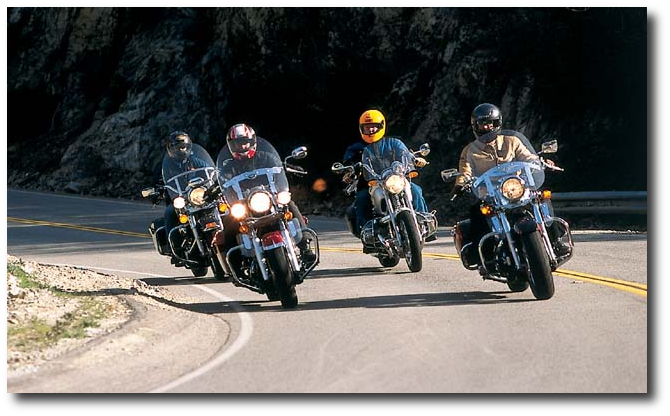 Motorcycle Safety Foundation-based courses are reputable. 9. Motorcycle safety courses improve the hobby’s reputation. 8. The most popular motorcycle courses are for novice riders. 7. Refresher courses help with forgotten or neglected skills. 6. Experienced rider? Try an intermediate course! 5. 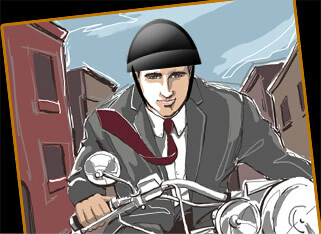 Some motorcycle safety courses offer specialized skill training. 4. It’s a smarter investment than blindly buying a bike. 3. Possible insurance discounts … and other benefits. 2. It’s a faster path to a motorcycle license. 1. Get confident … and in turn, make riding a motorcycle more fun. 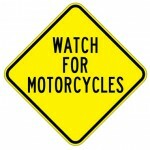 Go to the Motorcycle Safety Foundation website to learn more. Learn more about safe motorcycling in New York State and Pennsylvania. 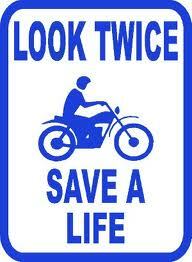 The Twin Tiers motorcycle season has returned and we need to remember that safety has to be our No. 1 concern. We need to watch for the vehicles around us and not assume they can see us. We may think that because tractor-trailers have mirrors all over them that they can see well. But that is wrong. Every motorcycle in the photo above is invisible to the truck driver. He can’t see any of them. Think about that the next time you are near a tractor-trailer. If you are going to pass one, get out and pass. Don’t hang around anywhere near them. You have to assume they can’t see you. Here are “10 Things All Car And Truck Drivers Should Know About Motorcycles,” from the Motorcycle Safety Foundation. Please share this with the drivers in your life. Over half of all fatal motorcycle crashes involve another vehicle. 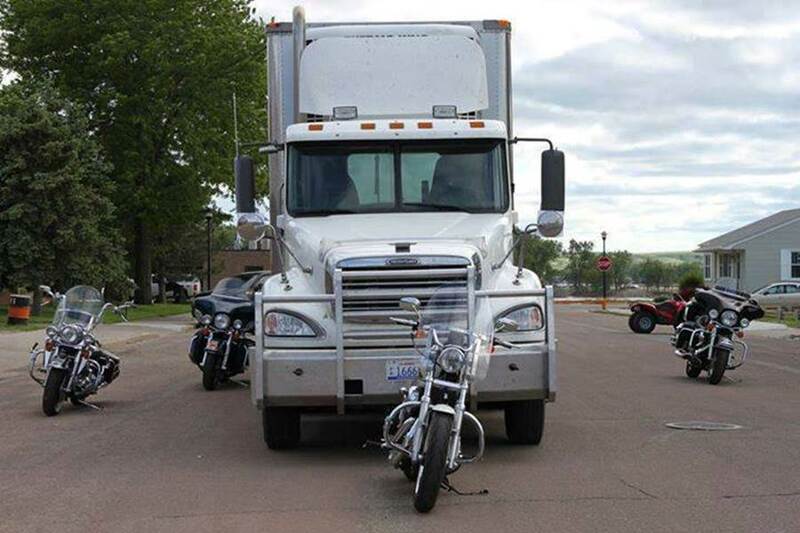 Most of the time, the car or truck driver, not the motorcyclist, is at fault. There are a lot more cars and trucks than motorcycles on the road, and some drivers don’t “recognize” a motorcycle – they ignore it (usually unintentionally). Because of its narrow profile, a motorcycle can be easily hidden in a car’s blind spots (door/roof pillars) or masked by objects or backgrounds outside a car (bushes, fences, bridges, etc). 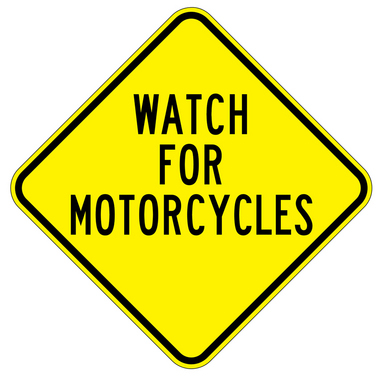 Take an extra moment to look for motorcycles, whether you’re changing lanes or turning at intersections. Turn signals on a motorcycle usually are not self-canceling, thus some riders (especially beginners) sometimes forget to turn them off after a turn or lane change. 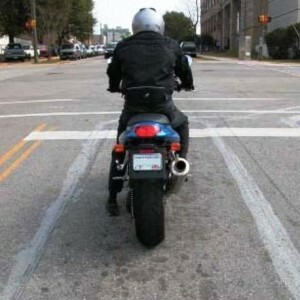 Make sure a motorcycle’s signal is for real. When a motorcycle is in motion, see more than the motorcycle – see the person under the helmet, who could be your friend, neighbor, or relative.